Having walked 22km yesterday, for fun and to fund-raise for the Sydney Institute of Marine Science, we had plenty of time to discuss the various presentations we saw at Chowder Bay. 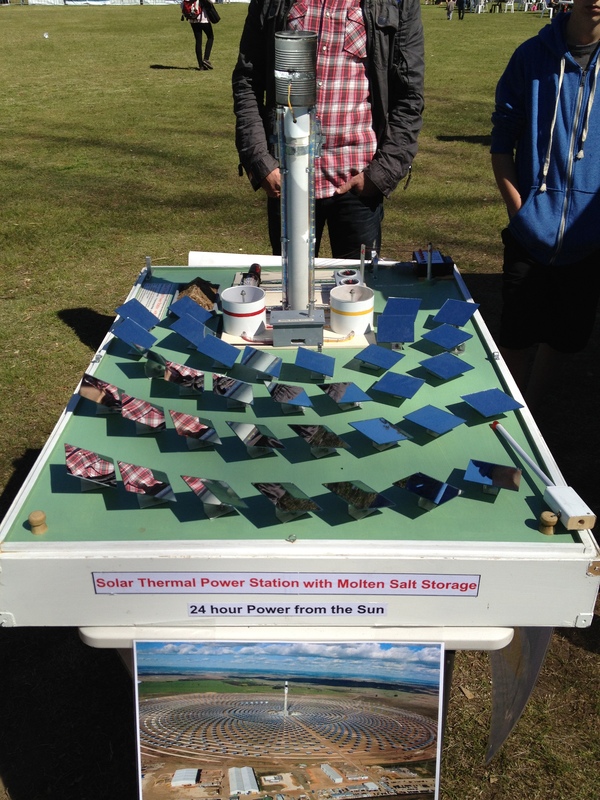 The one that really grabbed our combined attention was the model solar concentrator array from Beyond Zero Emissions. We were fascinated to learn how the set-up uses molten salt to capture heat which in turn creates steam throughout the day and night; providing a constant flow of solar power. A stunningly beautiful day on Sydney Harbour is a great reminder of the wealth of solar, tide and wind energy available to us in Australia. It was also a great reminder of just how wonderful the Harbour is and how important the work that SIMS is doing in understanding and preserving it. Beyond Zero Emissions have produced a plan showing how 100 per cent of Australia’s energy needs can be met by solar and wind power. The plan is available to download for free from their website. After walking 22km our own energy source was chocolate, lots of chocolate.